As every fangirl knows, when you’re a huge fan of something, it’s only natural to showcase your fandom with your wardrobe. You might own a handbag, a few t-shirts, anything to show off your interests. Today’s featured store helps you buy all of those items and more. 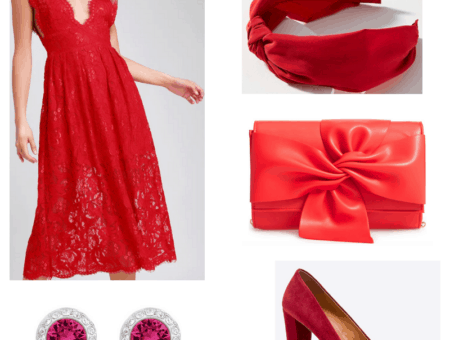 Her Universe is a website for female sci-fi fans to find fashion-forward items based off of franchises such as Marvel, Star Wars, Doctor Who, Star Trek, and even some Disney items as well. The brand is based around the idea that female fans deserve awesome merch just as much as men do. On the website you can shop by category or license. Her Universe offers tops, bottoms, dresses, hoodies, cardigans, a plus size line and accessories, and even sells their items at stores like Hot Topic and Kohl’s. Who doesn’t love a good throwback to Disney Channel in its prime? 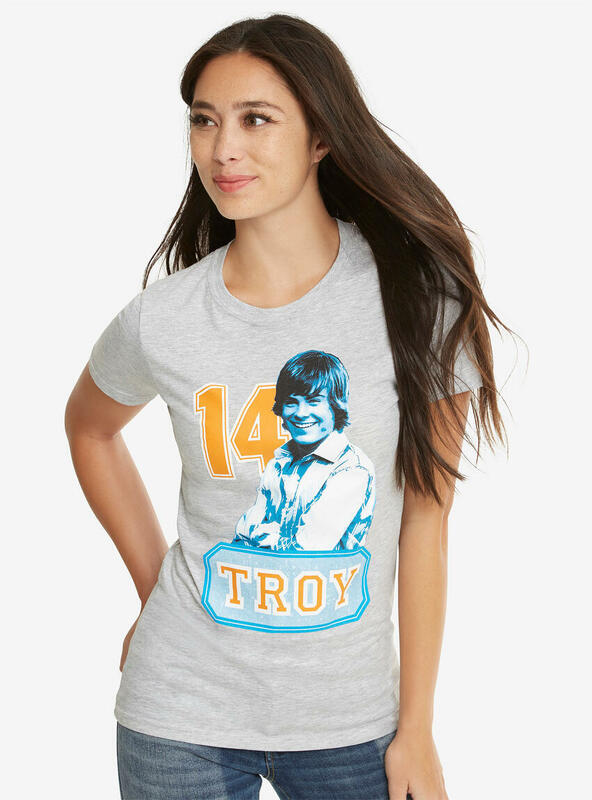 We as a generation are very nostalgic, so this t-shirt is perfect for those of us with our heads in the game but our hearts in the song. Speaking of nostalgia, OMG! 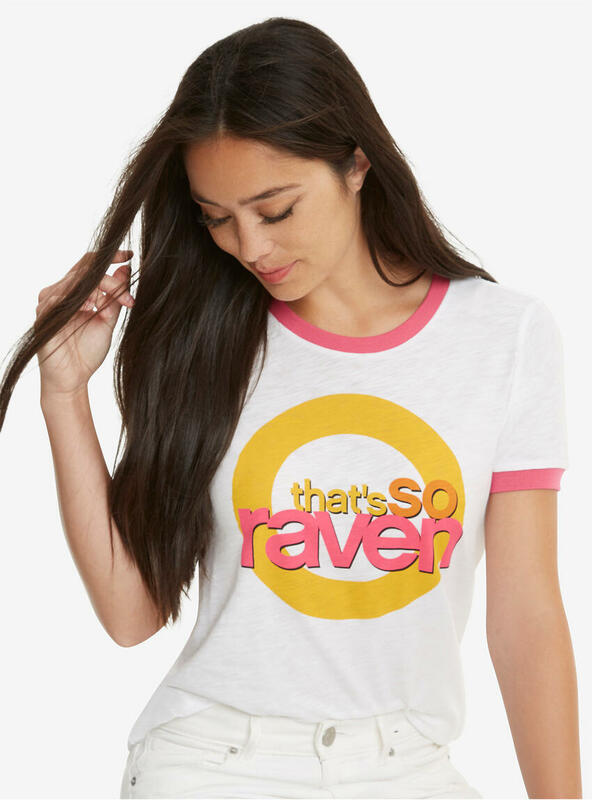 I really miss That’s So Raven and if you do too then you can sport this ringer t-shirt around everywhere you go. 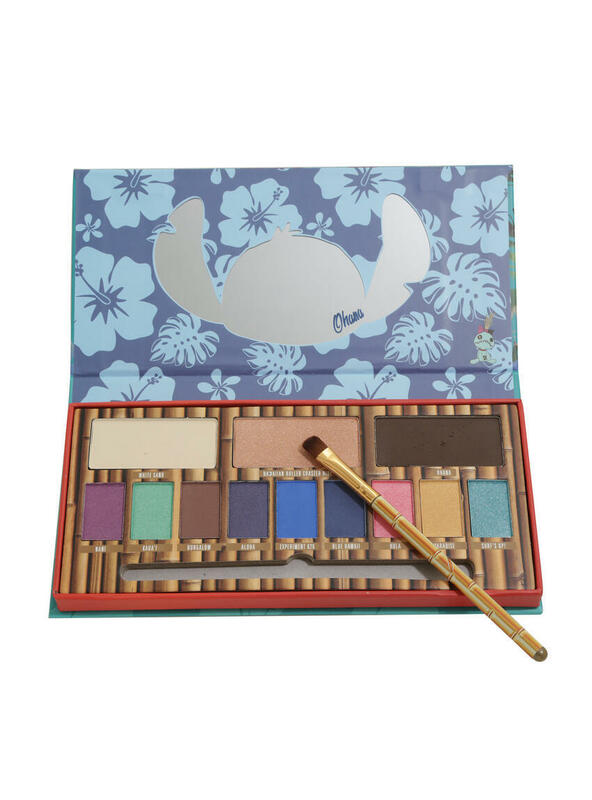 Try adding a little Hawaiian inspiration to your makeup with this eyeshadow palette. The color names are absolutely adorable being named after certain aspects of the film just like Experiment 626. 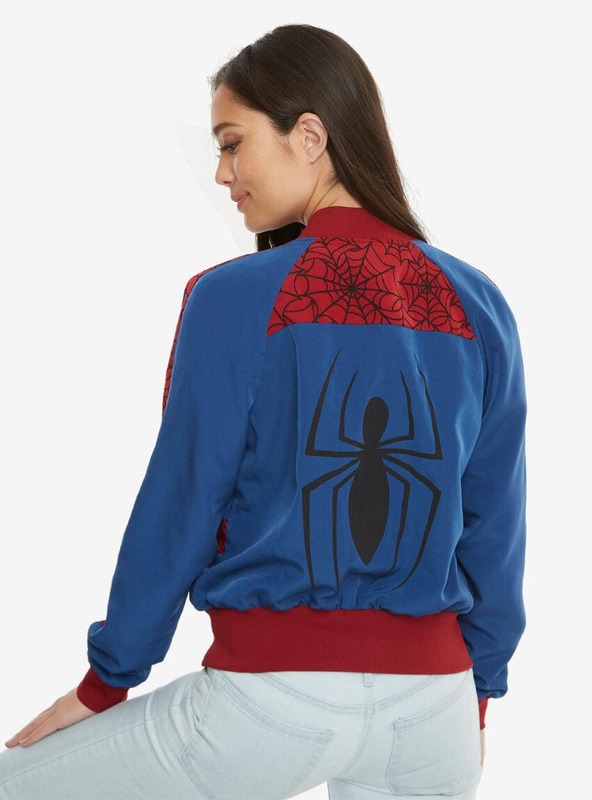 Anyway, this jacket is perfect for showing off your spidey senses and your sporty side. You could totally layer this Marvel Avengers tee under the Spider-Man bomber jacket. 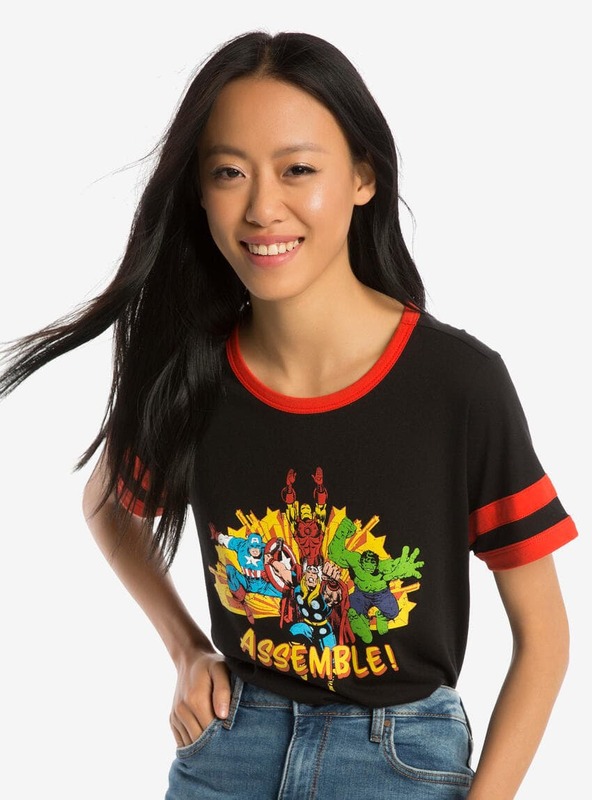 I love the retro vibe of this t-shirt and the ode to the original comics. 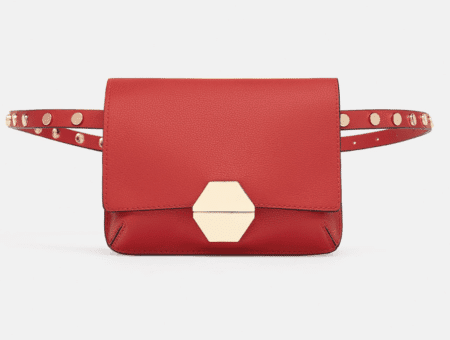 The red detailing adds an extra pop of color to the tee. If you’re like me then you need this jacket ASAP for the season. It’s so cold where I am right now and I wouldn’t mind paying homage to an inspiring female Star Wars character while staying warm. Rey’s destiny jacket is incredibly versatile. You can unzip the sleeves and make the jacket a vest. How convenient! I have seven denim jackets in my collection and wouldn’t mind adding an eighth. 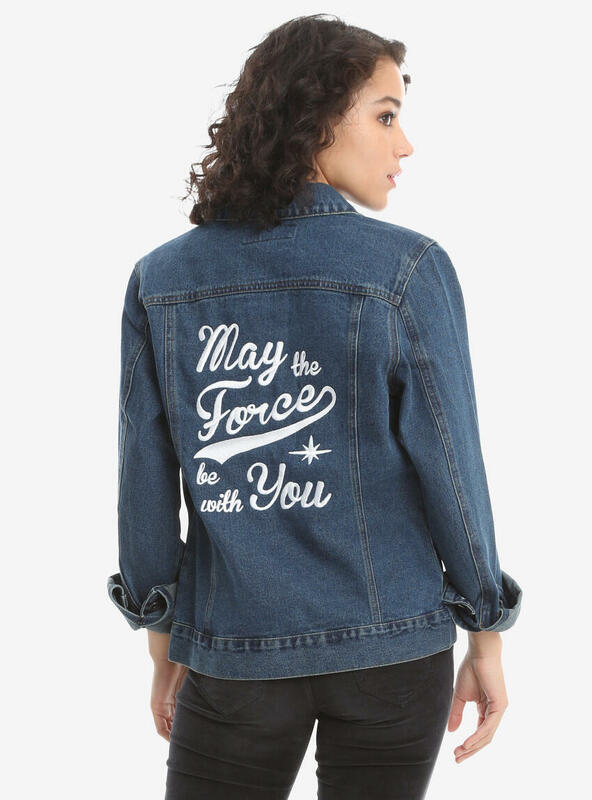 This jacket, once again, is perfect for layering over your favorite Star Wars t-shirt and you have the liberty to add some lapel pins to it to show your allegiance to the light or dark side. As a child and into my adult years Carrie Fisher/Princess Leia has been an inspirational icon to me. 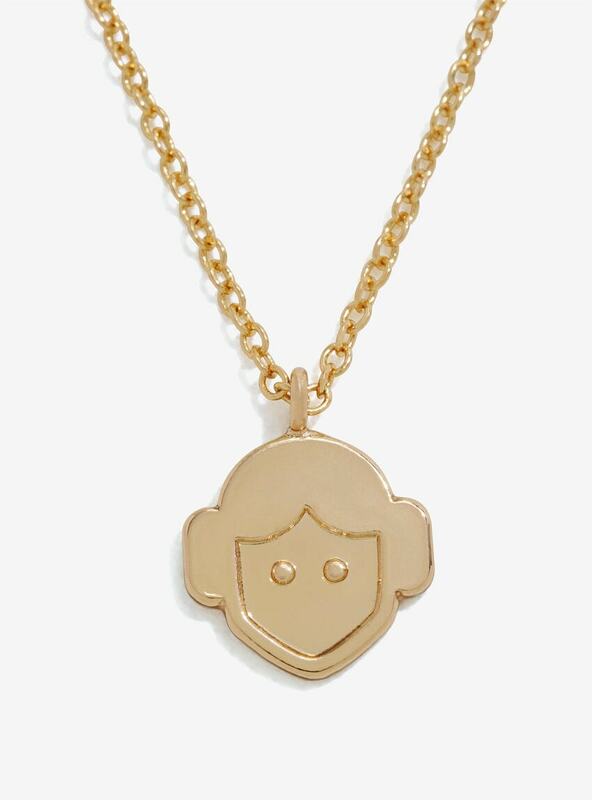 What better way to keep the Princess/General close to you than with a dainty charm necklace? Who could pass up Leia’s iconic cinnamon bun hairstyle? 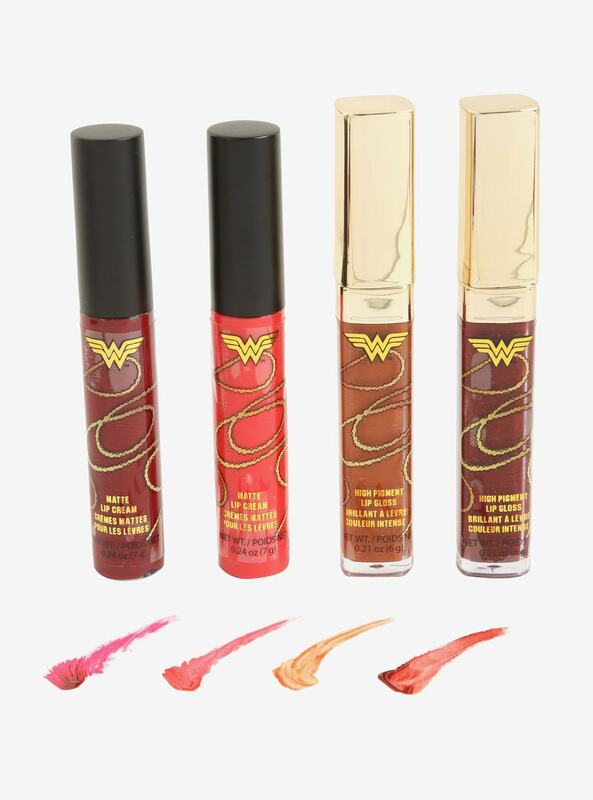 If you loved everything about Wonder Woman (like I did) and wanted to acquire as much of the Wonder Woman aura (like I did) well this lip collection might help. There are four colors included. Two of them are matte and the other two are gloss for whatever mood you’re feeling that day. Maybe you don’t feel comfortable walking around town in full-on Wonder Woman costume. That’s totally okay! 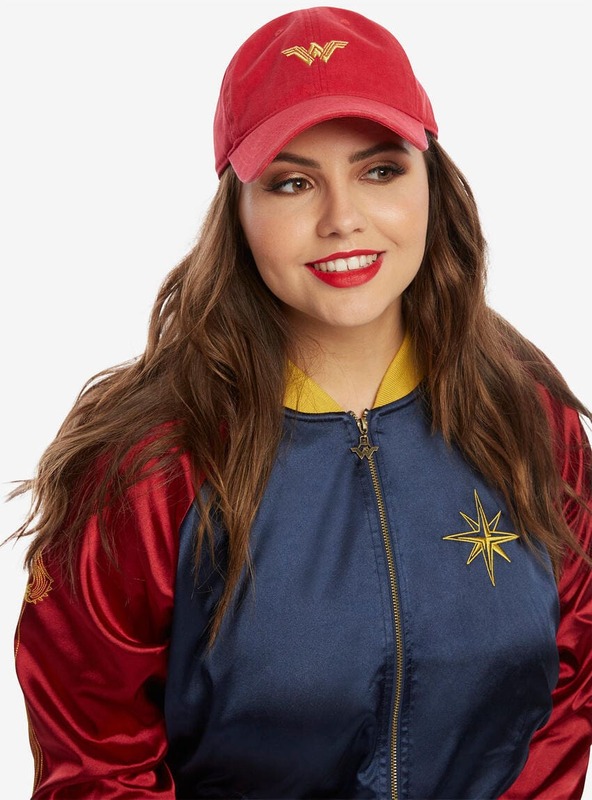 You can still show off your Wonder Woman spirit with a sporty baseball cap. Are you as obsessed with Her Universe as I am? Have you shopped with Her Universe before? Are you interested in checking the site out now? Let me know what you think in the comments section below!